A 49-year-old man sustained an injury to the left jaw after being punched and was taken to a local area hospital to be treated, according to police. He's in stable condition, police added. Baldwin was charged with assault and harassment and given a desk appearance ticket, the NYPD said. Pending release from custody for punching a motorist, Alec Baldwin apparently foregoing daily tirade about Donald Trump's moral failings. 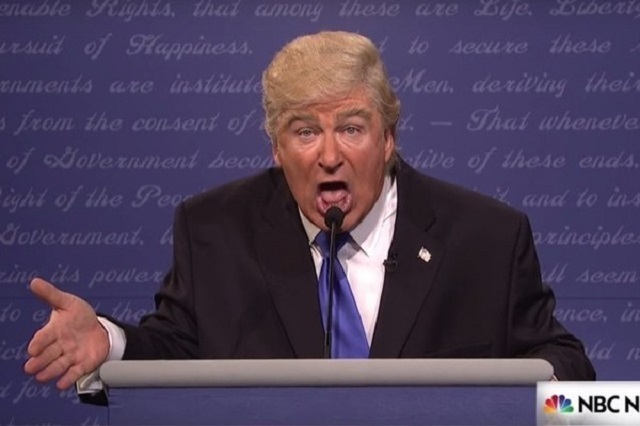 Liberals like Alec Baldwin portray Trump as an unhinged, emotional maniac but in spite of the pressure of being President and the fact that the whole world is against him, he’s cool as a cucumber. Alec Baldwin loses his mind a punches somebody over a parking spot.